The Holland Armory was initially built for the National Guard at the behest of Henry Greeds, the city treasurer at the time. Greeds’s objective was to involve Holland in the National Guard. However, the building became much more than a place for the National Guard to meet. Before the establishment of the Civic Center in 1954, the Armory was the best facility for large events such as basketball games, auto shows, and even the occasional evangelist or activist meeting. 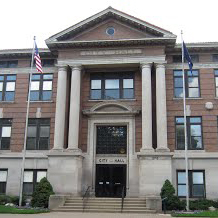 A combination of state government funds, private donations, and support from the city (which donated the $15,000 lot for the building) provided the money to construct the Armory. 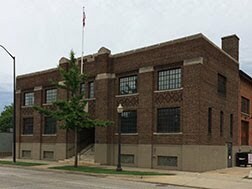 After its dedication in 1925, the Armory served the National Guard, American Legion, and Women’s Auxiliary Corps for many decades. However, beyond its intended use, the Armory was a public space that hosted social, religious, and educational events. 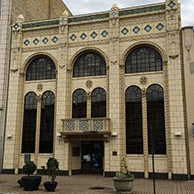 One year after the Armory was built, 1926, it hosted the Holland Auto Dealer’s Association auto show, which was the first in the region and signaled the rising role of the automobile in American life. In 1927, local preacher Nellie Churchford invited the famous evangelist Paul Radar to speak in Holland. Radar held a three-week gathering in the Armory. He was famous for founding the tabernacle movement and giving national radio broadcasts. Locals and visitors from Grand Rapids and Muskegon came to the Armory to hear Radar preach about personal virtue and salvation. With the onset of the Great Depression, several local and state institutions saw the need for educating Michigan farmers in the methods of modern agriculture. This resulted in Farm Institute Day, an annual event from 1930 to 1934 held in the Armory and created by the Chamber of Commerce, the Holland Merchants Association, the Ottawa Farm Bureau and the Michigan State College of Agriculture. From 1931 to 1942, the Amory housed the Immanuel Baptist Church of Holland. Immanuel Church, founded in the late 1920s, had trouble initially finding a home for its congregation; before the Armory, their home was the Women’s Literary Club. The army reclaimed the building for its own use in 1942. After 1945, the Armory was used as a venue for public dancing, overriding the objections of the more conservative members of the community. Until the common council voted that public dancing was permissible, older laws has prohibited such activities. Ten years later in 1955, 1,200 children from all over Holland made their way through the Armory’s main hall to receive polio vaccinations; it was Holland’s part of the larger campaign to immunize against the disease. Today, the Armory is owned by the Holland Historical Trust. Its most striking feature currently is the large mural on its west side, facing Ninth Street. The mural was the work of Grand Rapids artist José Narezo, whose mural work can be found in Lansing, Benton Harbor, and other cities throughout Michigan. Students traced his artwork onto the wall and fully painted it in the summer of 1978. The work has been periodically restored since it was first painted.